In June 2011, the entire LYA staff participated in a three day intensive training based on Steven Covey’s work The Seven Habits of Highly Effective People. The workshop served as preparation for implementing The Leader in Me program at LYA. The training was led by Gary McGuey, a consultant for FranklinCovey's educational program. 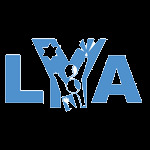 LYA thanks Diane Troderman, the Harold Grinspoon Foundation and The Resource Center for Jewish Education for their support during and after the training. As Gary said, the learnshop is over and the workshop begins after the training sessions are completed. LYA staff practiced the seven habits over the summer. When they greeted their students in the fall, they began the process of incorporating the Leader in Me into all aspects of day at LYA to produce a community of leaders.